PARIS, FRANCE, December 2 , 2008 - CIRCOR Aerospace/Industria S.A.S, was awarded a contract by Eurocopter (an EADS Company) to provide pressure switches mounted on hydraulic circuit, fuel, and box transmission power systems for detection and safety functions. Hardware installation and qualification testing are slated for early 2009. 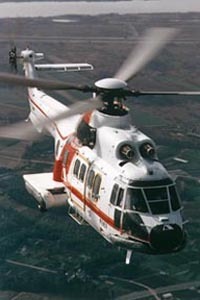 The annual contract value will exceed €400K, and marks the first collaboration between CIRCOR/Industria and Eurocopter. The products will be designed and developed in France by Industria, utilizing the global resources of CIRCOR Aerospace. Industria is a CIRCOR Aerospace company located in Le Plessis Trevise, near Paris, which designs and produces a full range of valves including solenoid, solenoid actuated, motor operated, and manifold systems for exacting hydraulic, fuel and pneumatic functions. Industria products can be found in servo-controls, landing, braking, steering, door actuation systems and various fluid systems on defense and commercial aircraft, ships, launch vehicles and automotive racing vehicles. CIRCOR Aerospace Products is focused on the design, development, and manufacture of specialty fluidic control, actuation, and aircraft landing gear systems for demanding aerospace and defense applications. CIRCOR provides a full range of check, relief and electro-mechanically actuated valves, actuation systems, manifold assemblies, and complete landing gear systems. CIRCOR International is headquartered in Burlington, Massachusetts and the CIRCOR Aerospace Products group is headquartered in Corona, California. Contact Jackie Osborne at O# 951-270-6221 / M# 951-310-2544 to schedule interviews or photo opportunities. Industria S.A.S. is a CIRCOR Aerospace company located in Le Plessis Trévise, near Paris in France dedicated to the design, development, and manufacture of specialty fluidic control components and systems for demanding aerospace and defense applications. A full range of pressure switches, solenoids, solenoid actuated, motor operated, and manifold systems are available for demanding hydraulic, fuel and pneumatic applications. Industria products can be found in anti ice systems, landing gear and door actuation and various fluid systems on military and commercial aircraft, ships, launch vehicles and for automotive racing.